Have you ever had a Food Sad? This pie was a response to a Food Sad I had recently. “Hold on, Kelly,” you may be saying. “What is a Food Sad?” Well, it is any food – either homemade or purchased – that is, when compared to something else, disappointing. Ever had dinner with someone who got a dish that was better than yours? Food Sad. Ever made a meal that did not taste as good as you expected? Food Sad. My tale of Food Sad woe starts with a trip to my favorite pizza place for dinner. Their pizza is phenomenal, but they also make SUPERB house made cheesecake with new flavors monthly. It is worth saving room for, and I usually do. We went on January 31st and the cheese cakes on offer were Amaretto and Butterscotch Toffee, both of which are lovely. Yes, I have had them both … don’t judge! Being curious, I asked what February’s flavors were going to be. The waitress says Irish Cream (yawn) and Peanut Butter Cup. I wanted that Peanut Butter Cup cheese cake, so we asked if they happened to have any of the Peanut Butter Cup available. Alas no, she said, since they make them the day they serve them. Yay for freshness, boo for the Food Sad. The easy solution would be to go back on February 1st for a slice of the coveted new flavor, but what’s the fun in that? 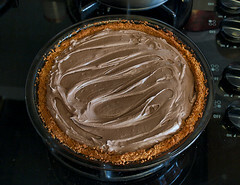 I decided to make my own chocolate-peanut butter-cream cheese dessert. 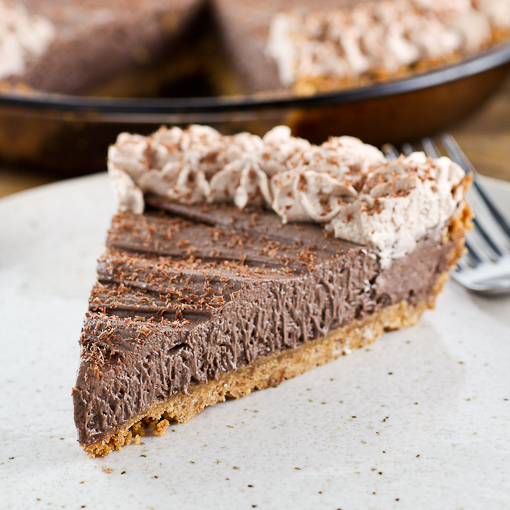 What I ended up with is a sort of no-bake cheesecake pie that is creamy chocolate peanut butter bliss. The flavors are well balanced, you can taste both the chocolate and peanut butter along with the mild tang from the cream cheese. To make this pie less dense I whipped some cream and added it to the filling. 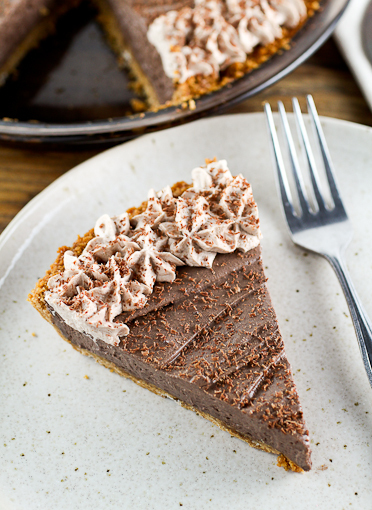 It lightened it up and also provided a silkiness to the filling that I find irresistible when paired with the crisp, buttery graham cracker crust. 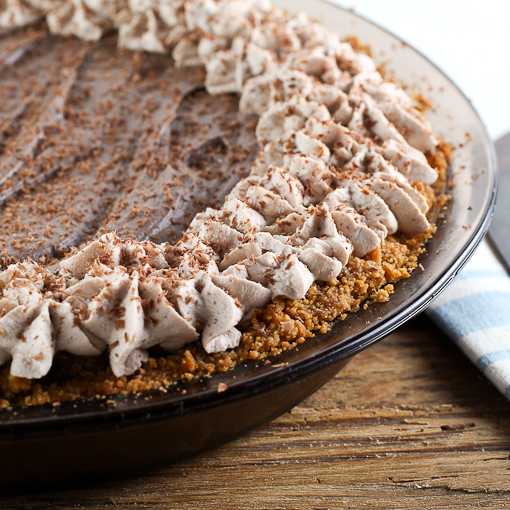 To add some flare, and because I like a pretty garnish, I made some chocolate peanut butter whipped cream and piped it around the edges of the pie. It covered the less than beautiful edges of the pie, and it tastes so good! All-in-all I think this is probably better than the cheesecake I was so Food Sad over. I guess you could call it a food win! 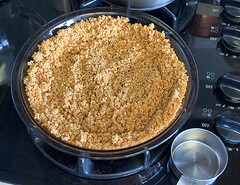 In a medium bowl combine the graham cracker crumbs and sugar. Mix well. Add the butter and microwave until the butter is melted, about 30 to 45 seconds. 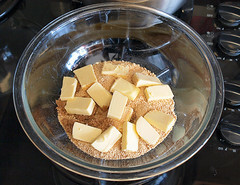 Mix the crumbs until they are evenly coated in butter. 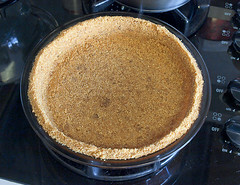 Spread the crumbs into a 9-inch glass pie plate and press them into the plate to form a crust. Bake for 12 minutes, or until evenly golden brown and crisp. Cool to room temperature. Next, prepare the filling. 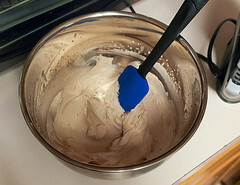 In the work bowl of a stand mixer fitted with the whip attachment, or in a large bowl with a hand mixer, add the cream, powdered sugar, and vanilla. Beat until the cream forms medium peaks, about 3 minutes. 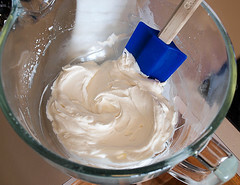 Transfer the cream to a bowl and chill for 10 minutes. 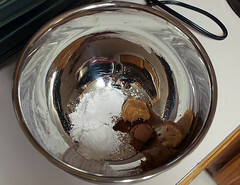 Into the same bowl, but now using the paddle attachment, combine the cream cheese, powdered sugar, peanut butter, melted chocolate, cocoa powder, and vanilla. 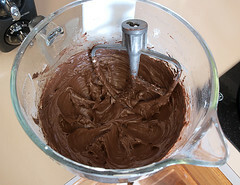 Beat on medium speed until the mixture is light and fluffy, about 5 minutes. 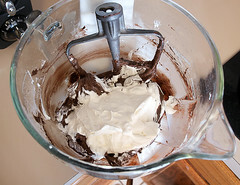 Scrape down the sides of the bowl and add the whipped cream. Beat on low speed for 30 seconds, or until just combined, then increase the speed to medium for 20 seconds. Spread the mixture into the prepared crust, cover with plastic, and chill for at least 2 hours. Once the pie has chilled prepare the topping. 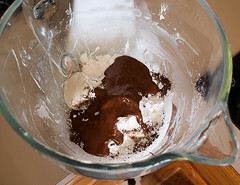 In the work bowl of a stand mixer fitted with the whip attachment, or in a medium bowl with a hand mixer, combine the cream, powdered sugar, peanut butter, cocoa powder, and vanilla. 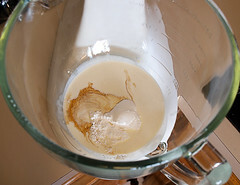 Beat on medium speed until the mixture forms firm peaks, about 3 minutes. 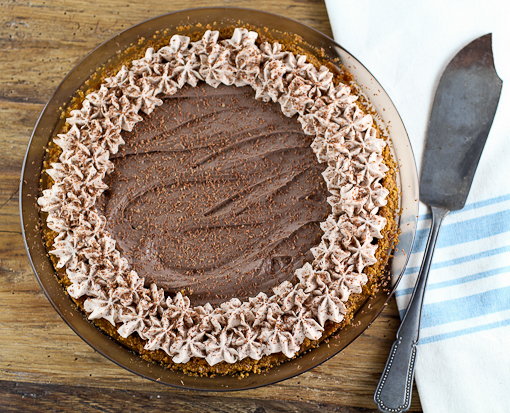 Pipe or spread the cream on the chilled pie and garnish with grated chocolate, if desired.